I’ve been addicted to eating muffins for breakfast lately so I’m trying very hard to incorporate healthy meals and snacks for the rest of the day. After all, bathing suit season is right around the corner. 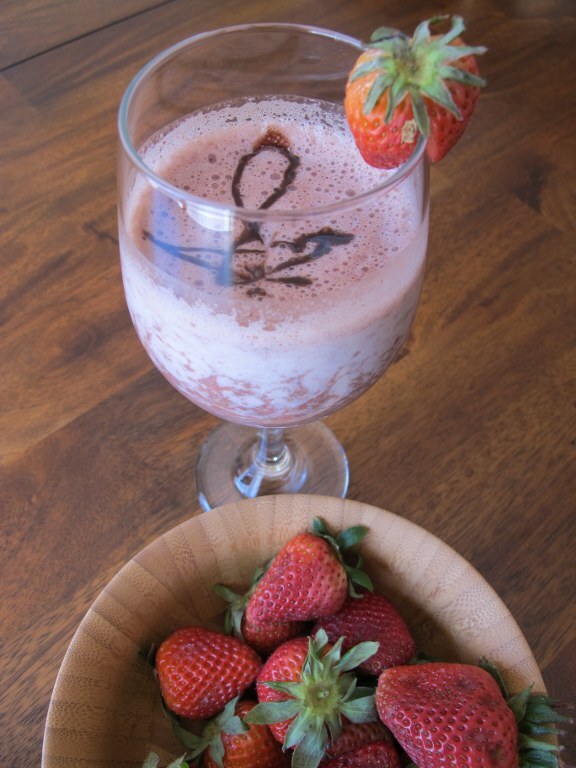 Berries are so healthy and the perfect ingredient to incorporate into a skinny shake. 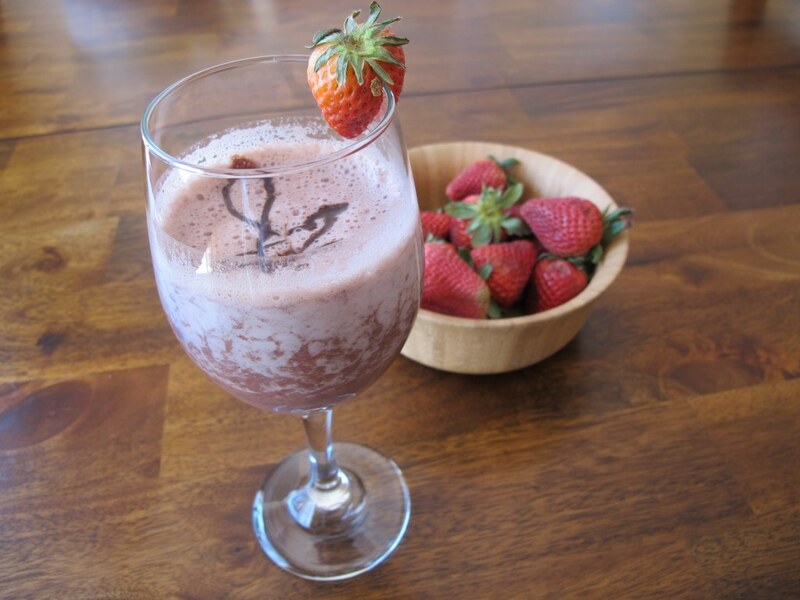 You can use blueberries, raspberries, or black berries as alternatives to the strawberries for this delicious drink. 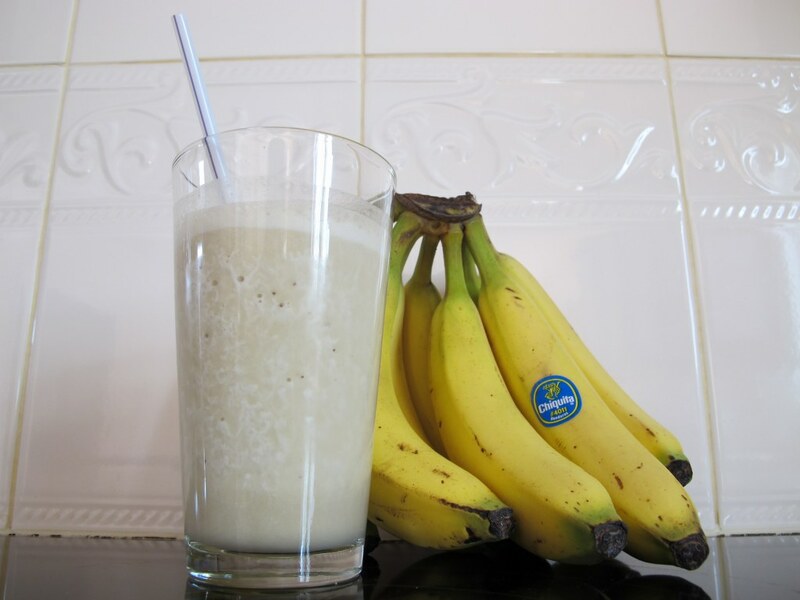 You may also like my Banana & Peanut Butter Smoothie. strawberries and chocolate – so good together. 🙂 in a healthy shake? even better!